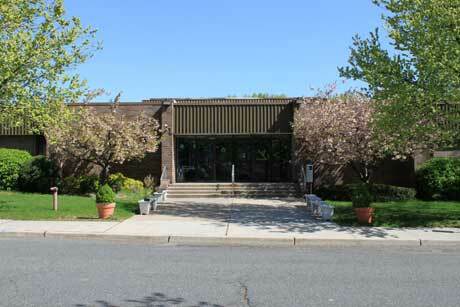 The Frisch School has entered an agreement to sell its old building at 243 E. Frisch Court in Paramus to Ben Porat Yosef. Ben Porat Yosef announced last week an agreement to buy the old Frisch building in Paramus, which has housed the elementary day school for two years. The details of the sale, from The Frisch School, have been worked out, according to BPY’s vice president, Yehuda Kohn, but the closing is still a way off. But as of Aug. 1, Kohn said, BPY would assume full responsibility for the 70,000-square-foot building at 243 E. Frisch Court. “There are no words to describe how this worked out for us,” Kohn said. “Having everybody under one roof in this particular facility – which fits us magnificently and is in a tremendous location for our constituencies – is a dream.” The school had previously planned to split its older and younger grades between its original campus at Cong. Sons of Israel in Leonia and a proposed second campus at the Jewish Center of Teaneck. The building is in generally good condition, Kohn said. However, the yeshiva would like to “modernize” it. Immediate building improvements include a new roof and an evaluation of electrical systems. Though BPY and Frisch have publicly announced the transfer of ownership, the schools are in only the first stages of negotiating the terms of the sale, according to Martin Heistein, president of Frisch’s board. He would not comment on the amount under discussion, but real estate listings revealed a $14 million asking price for the building. Proceeds from the sale will go toward paying down the debt on Frisch’s current campus, also in Paramus, Heistein said. He did not comment on what the amount of debt is. BPY isn’t the only school in the building, however. Bat Torah”“The Alisa M. Flatow Yeshiva has been Frisch’s primary tenant in the building since 2008, and BPY has been subletting from that school. According to Kohn and Bat Torah’s principal, Miriam Bak, the two are likely to continue a relationship that will keep Bat Torah in the building. “Now that we’ve finalized our agreements with Frisch, we’re trying to finalize with Bat Torah,” Kohn said. BPY intends to continue leasing to the all-girls high school, he added. “As long as they can still fit, we’d like to have them for as long as possible,” Kohn said. Class size may eventually become an issue. BPY expects an enrollment of at least 215 students during the 2010-11 school year, approximately 40 percent growth from the 2009-10 year. It has entered what Kohn called “a vigorous growth phase,” and that growth is expected to continue. The schools have divided the building well so far, said Bak, with Bat Torah operating on the ground floor and BPY using the top two floors. The schools share the auditorium, cafeteria, labs, and gym. Students from Bat Torah have babysat for BPY children during evening programs and earned chesed hours by tutoring the younger children. Students from BPY, in turn, have been invited to attend school plays at Bat Torah. “We intend to remain in the building as long as they accommodate our needs,” Bak said. Though Frisch had leased the building to Bat Torah and BPY for the past two years, it continued to list the property for sale. The school had not set out to sell its former building to another Jewish institution, according to Heistein, but he appeared pleased that it would continue to function as a Jewish school.